VW's Compact Crossover Tiguan has already received a facelift in Europe in 2012 however the Chinese market is expecting the facelifted version some time soon. The spy shots of VW's Tiguan facelifted must have brought a smile to couple of faces. The raised eyebrow shaped headlamps look neat now however the fog lamps look like standing lights with trails leading to the bumper. The rear lights retain the original VW tint. 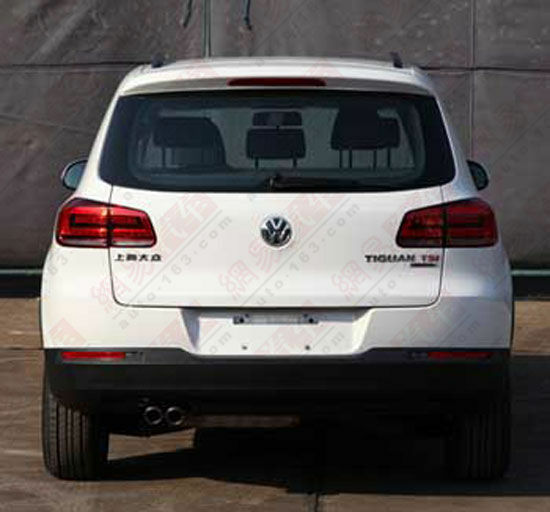 The Tiguan for Chinese market is made by the Shanghai-VW joint venture and it is based on the Audi Q3. 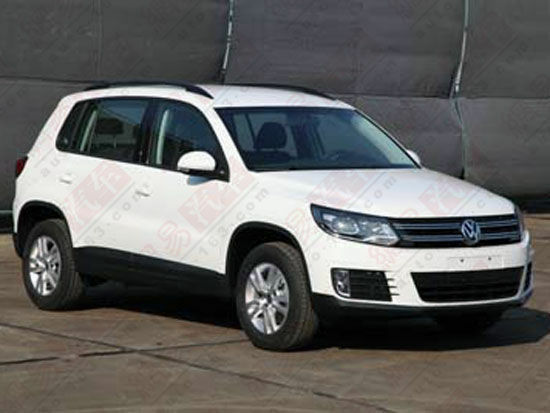 The VW Tiguan facelift is expected to be showcased at the Shanghai Auto Show which starts on April 20. The compact five-seat crossover SUV would go on sale in China shortly after its debut. Coming on the Indian market, the Taigun SUV, which is a Compact crossover and an entry level variant, could be launched in 2015 only and not before as the car maker has still not initiated any plans for its launch in India. However, this could be probably the best time for a car like Taigun to be launched in India as this would generate substantial volumes for the carmaker. As per our assumption, the car maker would display this variant from its line up during the upcoming 2014 Auto Expo.